In many ancient societies pearls symbolized the moon and were imbued with magical properties. Ancient Chinese civilizations believed that wearing pearls protected a person from fire and dragons, and other cultures have associated them with chastity and modesty. In Victorian England small seed pearls were often used in mourning jewelry to symbolize tears. Pearls have long been exchanged as gifts. When 13th century explorer Marco Polo visited Mongolian emperor Kublai Khan he reportedly presented him with the stunning Arco Valley Pearl, which weighs in at 575 carats and is more than three inches long (the pearl was auctioned off in Abu Dhabi in 2007 and its whereabouts are unknown). A famously beautiful pearl called La Peregrina was given by Prince Phillip II of Spain to his bride Mary during the 16th century. La Peregrina, a white, pear-shaped saltwater pearl, had a series of royal owners until the 1960s, when actor Richard Burton gave it to his jewelry-obsessed wife Elizabeth Taylor. Taylor had a necklace of pearls and rubies designed to showcase La Peregina. Although famous for singing that “diamonds are a girl’s best friend,” one of Marilyn Monroe’s most treasured pieces of jewelry was a simple sixteen-inch string of pearls given to her by Joe DiMaggio during their honeymoon in Japan. Pearls were always a favorite accessory of 20th century style icon Grace Kelly, both during her screen star days and once she became Princess Grace of Monaco. Her husband Prince Rainier gave her a luxurious pearl-and-diamond jewelry set that she wore frequently. If you’re looking for a spectacular piece of pearl jewelry, you can choose between new and antique pieces. 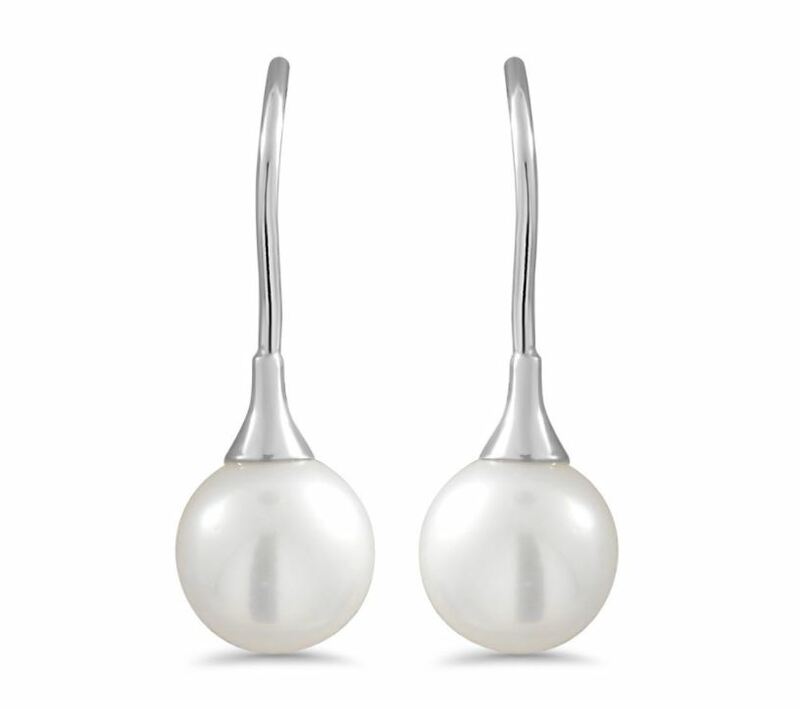 Brilliant Earth offers stunning new pearl jewelry, such as our Premium Akoya Cultured Pearl Diamond Earrings and Sea of Cortez Pearl Pendant with Diamond Accent, featuring pearls that have been sourced in an eco-friendly manner from sustainable pearl farms. 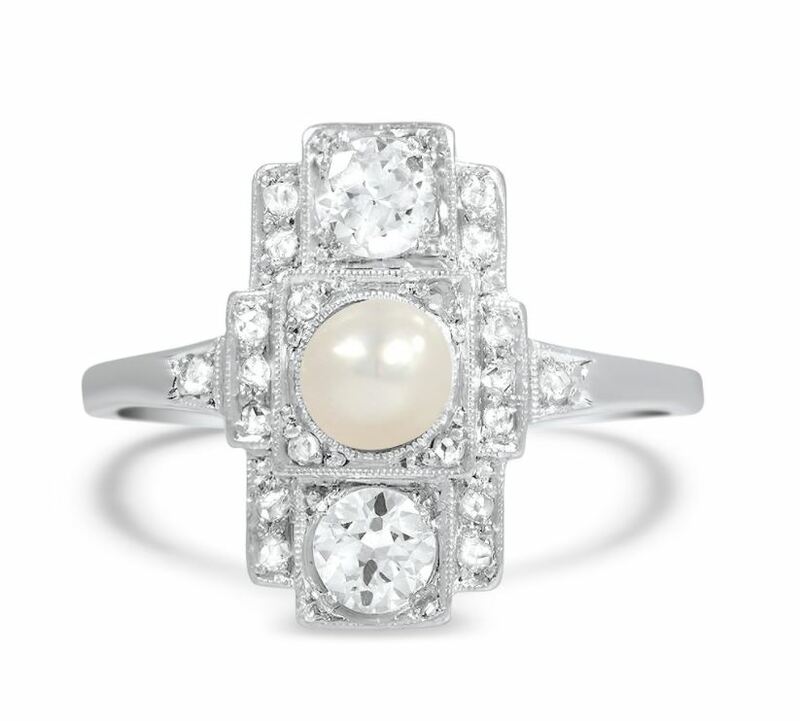 We also offer a large selection of vintage pearl jewelry in our curated Vintage Collection. Small pearls are often used as accents in Victorian jewelry, and pearls were very popular during the Edwardian era, when the “white on white” effect of pearls or diamonds set in platinum or white gold bestowed the wearer with a look of feminine elegance. 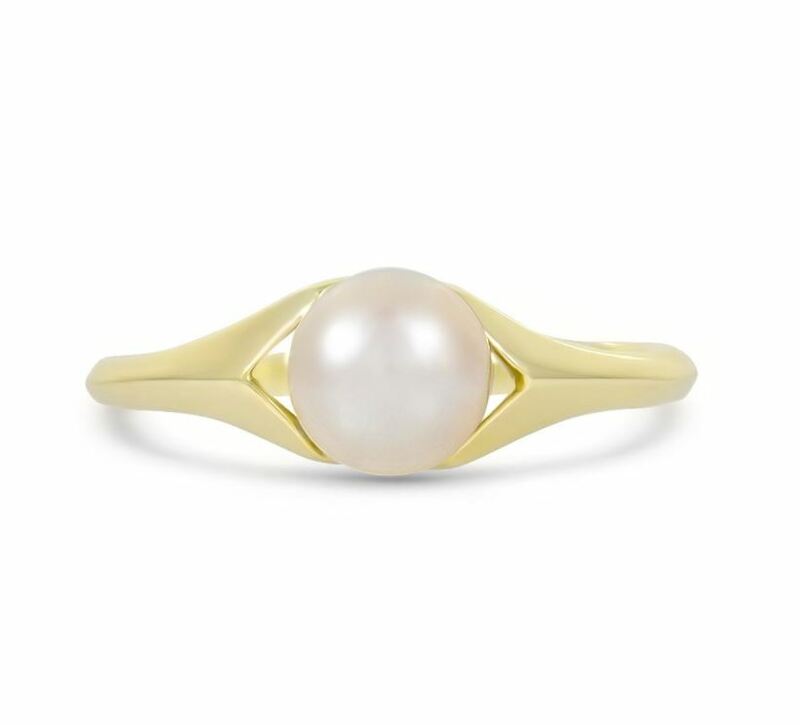 Pearls are also frequently found in Retro jewelry , often as the centerpiece of a ring and encircled by diamonds or more pearls to create an exuberant floral effect. The acid in perspiration can gradually damage pearls, so run a dry or damp cloth over pearls after you’ve worn them next to your skin. Be careful not to let perfume or other chemicals come into contact with your pearls, and keep them away from extreme heat (ie don’t use a hair dryer when wearing pearl jewelry or leave your jewelry in the sun). If you follow those guidelines your pearls will stay gorgeous for decades and achieve heirloom status. 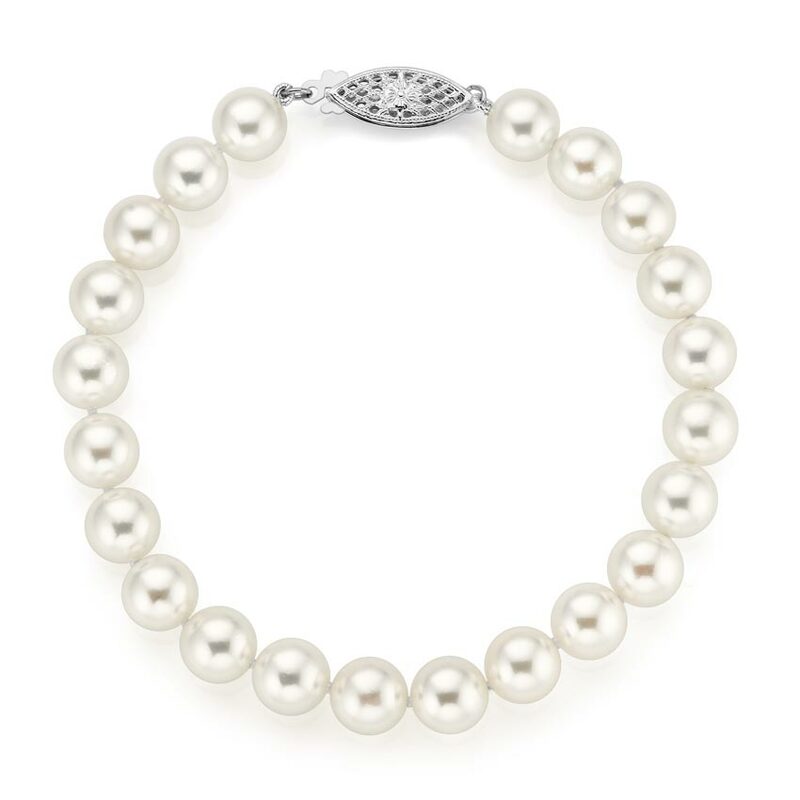 What is your favorite style of pearl jewelry? Let us know on Instagram, Facebook, or Twitter, or in the comments section! Beautiful Pearl Jewellery and amazing gift too. I like this lustorous jewellery. I was in junior high school, when I realized, that if I wore only jewelry that was valuable, I probably wouldn’t have any. Instead, I’d just wear stuff that was pretty. 30 years later, I’ve become a clothes horse(the familiar problem of budget not being equal to tastes lol), so I say that all my jewellery is gimcracks. I have various items of pearls, hard to pick a favorite. A pearl belt, a thick strand to tie, a rope, stud earrings of course, but I think my favorite is a single pearl on a rather long, very delicate, plain gold chain. Several years ago, I went to a church service to hear a missionary speak who had just returned from Tahiti. I slathered on all my pearls I could manage, to compare them to the natural pearls I was confident would be displayed there. Well, haha. Mine are pretty good, either cultured or simulated, but they might as well have come from a vending machine, next to natural pearls. Beautiful! Pearl is my birthstone. I love them and have several pieces. I have a ring from my high school graduation, earrings and necklace as a wedding gift from my husband and a few other bracelets that I bought just because. Thank you for the article. Pearls have always been my favorite piece of jewelry. 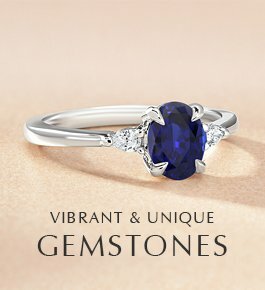 First and foremost, they can be worn with any other gemstone without any intrusion. My husband gave me a string of pearls on my wedding day to wear with my gown. It is 60 years later and the pearls are as beautiful as the day I received them. By far, my favorite piece of jewelry, which I will hand down to my daughter. I have always loved pearl jewelry, even as a child. My husband has given me a ring, bracelet, earrings and necklace. When I wear these pieces I think I love and care for them as though they were children. There is just something very romantic about pearl jewelry, I feel you can never have enough!! My husband who just passed away in July gave me a 16inch necklace of cultured pearls which I made into an 18 or 20 inch necklace, I seem to like necklaces longer. I wear them on special occasions and love them very much. also have costume jewelry of several colored pearls. 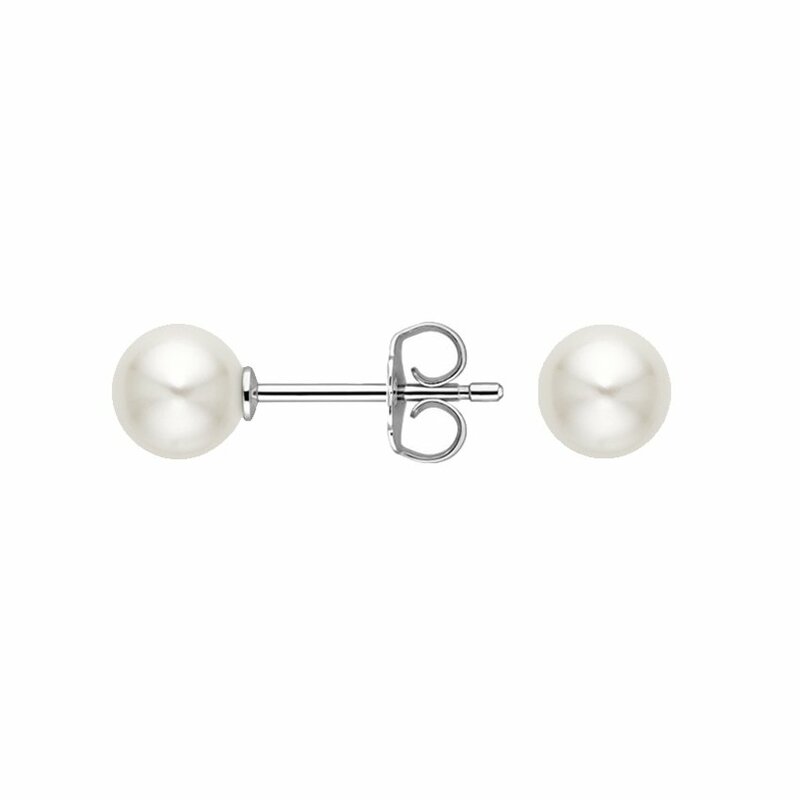 What did they call the tradition of giving one pearl for special occasions that was then added to the strand? It was popular in the early ’50s and ’60s. 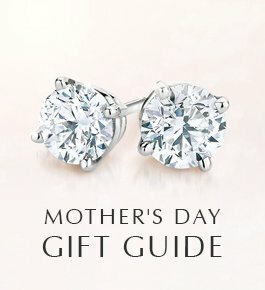 I love pearls which is the most precious, elegant and unique piece of jewelry that looks and goes with everything at any special occasion. Wear a pearl and feel special, attractive and stylish. 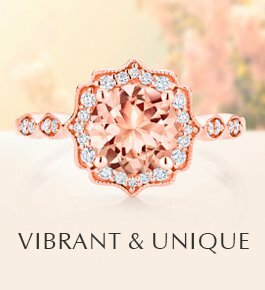 Our jewelry specialists would be happy to speak with you about your questions. Please call us at 1.800.691.0952 or use the live chat on our website. Thanks for your interest! days people are dressing casual . I would like to wear my pearls more. Give me suggestions what to wear to my job as a newspaper sales rep.
My first ‘good’ piece of jewelry was from my parents, when I was 12. It was a pearl ring. It was then that the love affair began. I’d like to know more about MABE’ pearls, their values as opposed to regular pearls. I wish,i know the differance of the real pearl and cultured.I baught anecklace and earring,from barcellona.Almost 30 years ago.until 20 years i didn’t know the difference!Is it worthy or just an ornement?I like to know.Yours. I love, Love, LOVE Pearls. My dad got me a pearl necklace when I got married but, a not so good friend of the family stold it along with all my jewelry. That pig. Your article on pearls were very informative, thank you. However, I was a bit disappointed that you could have included other ethnic people who also wear pearls which come from GOD; for all people. Thank you! Hoe Blessed we are to have PEARLS! Do real pearls peal? I have a strand pf pearls and one pearl seems to be pealing. These are colored pearls in mint green and pink. 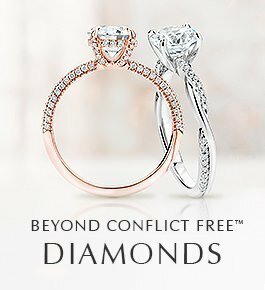 Our jewelry specialists would be happy to assist you. Please call us at 1.800.691.0952 or use the live chat on our website. Thanks for your interest! I have read that the 14th Century in England was known as the Age of Pearls, as well as the 16th. The prime literary evidence is the poem known as “Pearl” by an anonymous poet who also wrote “Sir Gawain and the Green Knight” . Both poems are worth a look. (For “Gawain” see Able Muse.com for my own translation. I am currently translating “Pearl” because other translations I think miss some of the fun. What is the meaning of Pearls, and how do you know they are real with so many fakes around? Pearl pricing depends on a variety of factors, including color. Our jewelry specialists would be happy to answer any questions you have about buying pearls. You can call us at 1.800.691.0952 or use the live chat on our website. Thanks for your interest! is their a different in price for so called black pearls compaired to the other color of pearls ? Thanks for your sharp eye and pointing this out! The pearl necklace. I received my first one when I was a flower girl at the age of eight. 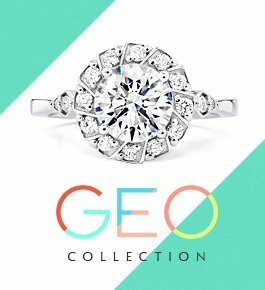 Our jewelry specialists would be happy to speak with you about your request, get more information about what you’re looking for, and look at the pictures you mentioned. Please call us at 1.800.691.0952 or use the live chat on our website. 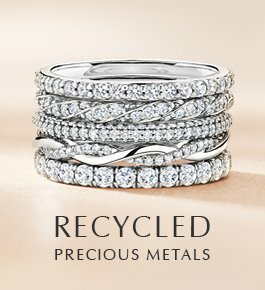 You can also learn more about our custom design process here: http://www.brilliantearth.com/custom-ring-design-process/. Thanks for your interest! I have a silver necklace and earrings set. Somewhere along the way an earring was lost. I’d like to have another made. The stones may not be real, but the set was given to me by my great Aunt Peggy. My daughter is getting married next 7/4/2017, and she’d like to follow in the family tradition of wearing it for her wedding. Can I send pictures of it to you so you can have a look-see? I would be grateful if you would do so, and give me an idea of your thoughts on copying a mirror image of the other earring. Thank you for your time. 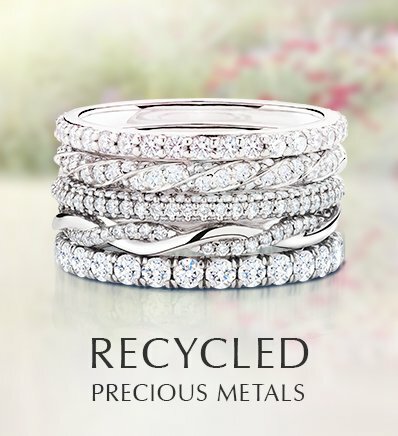 Our jewelry experts would be happy to assist you with your jewelry care questions at 1.800.691.0952. Thanks for your interest! A couple of years ago, I purchased an 18″ string of quality pearls for my very young granddaughter’s graduation – 7 years down the road. As I am not liable to be around this earth, I have them stored in my jewelry chest — should I treat them in any special way. My ex-husband had a garage sale when I left him in which he sold my pearl and diamond ring. If you have questions about vintage jewelry, our jewelry specialists would be more than happy to assist you. 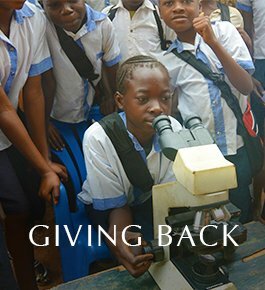 You can get in contact via email (http://www.brilliantearth.com/contact/), live chat on our website, or call at 800.691.0952. Thanks for you interest in Brilliant Earth! Were there rules for pearl wearing in the Edwardian/Victorian eras? If yes, what were they?